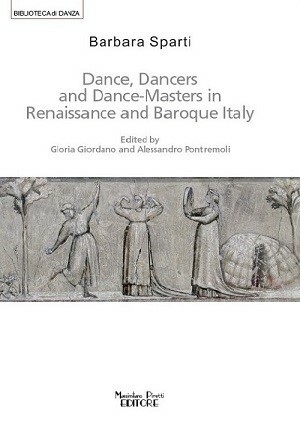 Over many years Barbara Sparti produced a series of highly important historical studies on court dance, ranging widely from dance in aristocratic and noble circles to musical sources, improvisation and embellishment, iconography, aesthetics, and Jewish dancingmasters. A notable feature of all her studies was her awareness of and sensitivity to the historical context. Her interest in the History of Dance stemmed from her background as a performing dancer and musician: she was Founder and Director of the ‘Gruppo di Danza Rinascimentale’, which performed between 1975 and 1988 throughout Europe and beyond; she also choreographed for opera, stage and television. Her scholarly activity went hand in hand with teaching Renaissance dance in Europe, Japan and North America. The present volume contains seventeen of her articles dating from 1988 to 2011 which she chose to reprint for the convenience of students, scholars and amateurs. Although they have been divided into six thematic sections, she herself wrote that ‘there is no requisite order for reading over the chapters’. The articles represent her main interests in the dance in Italy and France from the fifteenth to the eighteenth century.